Last month at the San Diego Zoo’s Safari Park, one of the world’s four last northern white rhinos died. It was the latest dose of bad news concerning threatened rhino species in Africa and Asia that are being slaughtered by poachers supplying the lucrative black market for the animal’s horn. With the price of rhino horn nearing $70,000 a kilo, poaching in South Africa, where 90 percent of rhinos live today, has increased more than a hundredfold in less than a decade. In 2007, South African authorities recorded eight white rhinos killed by poachers; last year, the number was more than 1,200. First used in Chinese medicine 1,800 years ago, demand for rhino horn is now driven primarily by a surge in popularity in Vietnam. In addition to being thought of as a treatment for cancer and fever, it has emerged as a status symbol. Businessmen showcase rhino horns as trophies and shave off powder to serve in cocktails. Ingestion of the powder is also thought to alleviate hangovers and is allegedly sometimes snorted. So with an apparently insatiable appetite for rhino horn and poachers overwhelming South African law enforcement, the 50-million-year-old species appears headed for certain extinction. But now, a San Francisco startup is developing a technology it says could save the world's rhinos. The firm, Pembient, is developing a method to 3-D print rhino horn that is genetically identical to wild horn. By supplying the black market with an indistinguishable synthetic substitute, the company thinks it can drive down the cost of horn and undercut the incentive for poaching. Advances in DNA sequencing now make it possible to replicate animal products in much the same way that software is copied, said George Bonaci, co-founder of Pembient. To create the horn, Pembient embeds the rhino’s genetic code into yeast, which converts sugar into horn protein, or keratin. This is the “ink” for the 3-D printer. The printing process then melts the keratin into solid pieces of horn. Pembient was selected for the first San Francisco class of biotech accelerator Indie Bio, along with companies developing animal-free milk and egg whites from yeast, mass-produced stem cells that aim to reduce costs for stem cell research, and bioengineered textiles that aim to reduce the need for cotton harvesting. In earlier stages of product development, Pembient was considering commercial products, like rhino beer and face cream made with synthetic horn. But the firm has dropped those plans and is now focused on producing solid horn. It has successfully engineered bioidentical horn powder and expects to be able to print a full horn within a year or two. The company says it will flood the market with this product, initially pricing it at one-eighth or less of the going rate. But Pembient’s strategy places the company in the middle of a debate over how to manage a species on the brink of extinction. 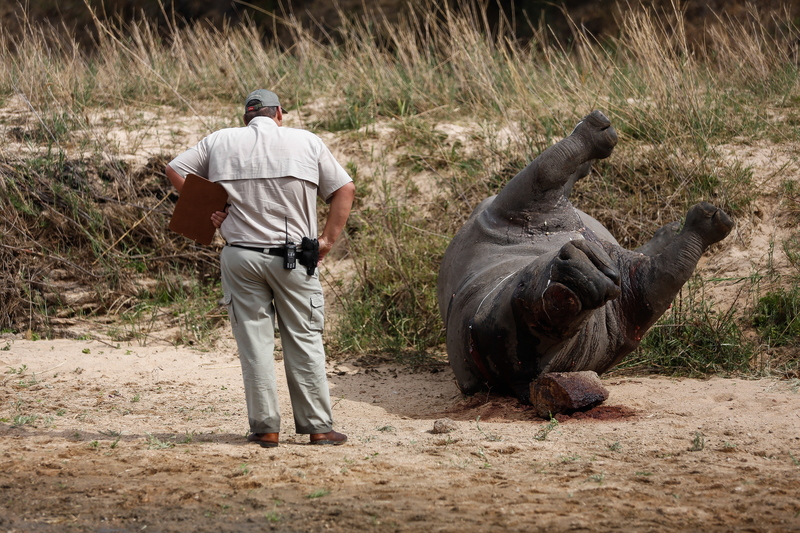 Armed rhino guards and would-be poachers die regularly in gunbattles. Governments battle over whether to lift the international trade ban on horn. And efforts to dehorn rhinos humanely have not been effective at deterring poaching because the horn grows back quickly. The international conservation community agrees that action must be taken, but many are concerned that Pembient’s plan could make matters worse by introducing new demand. “Synthetic rhino horn products could increase the pace of the demise of rhinos,” said John Baker, managing director of WildAid, a San Francisco-based conservation nonprofit. “Reducing the cost will only make it accessible to many more people who could not previously afford it, just as we’re getting to a critical mass in the public perception that rhino horn is bad,” Baker says. 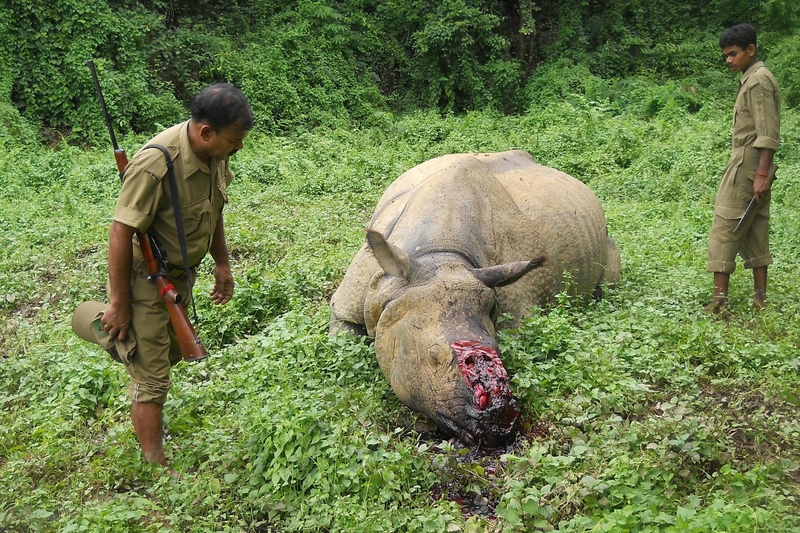 Baker’s organization believes that the poaching crisis can be solved only through reducing demand and enforcing trade bans. It produces big-budget public service announcements starring the likes of Jackie Chan and Prince William to educate Asian consumers about the consequences of purchasing rhino horn as well as ivory, tiger skins and shark fin. A number of other NGOs, including the World Wildlife Foundation, the International Rhino Foundation and Save the Rhino, are employing similar approaches and have issued public statements voicing the same concerns over synthetic horn. According to WildAid surveys, many Vietnamese do not know that purchasing horn results in the death of wild rhinos or that the animal is facing the threat of extinction. Baker says that once people are informed of the facts, they stop consuming the products. He points to successful reduction in demand for other wildlife products, such as an 85 percent drop in consumption of shark fin soup in China over a recent three-year period. Pembient counters that demand can never be eliminated completely, and that rising poaching rates show that existing conservation approaches are not working quickly enough. It says that demand reduction campaigns could in some cases actually create demand by focusing public attention on rhino horn. It also questions the ethics of imposing Western values on Asian traditions. “We’re trying to make it so it’s not a zero-sum game where either the tradition dies or the rhino dies,” Bonaci said. Baker and others question the merit of profiting from synthetic rhino horn, and say that Pembient is trying to make money from its technology. In response, Pembient says it plans to donate a portion of revenue to anti-poverty campaigns and conservation. It also argues it will be able to attract better talent to work on the issue because it is a business and can afford to pay competitive salaries. Opponents raise concerns that if there were no way to tell the difference between wild and synthetic horn, it would be impossible to regulate black market trade. Pembient plans to solve the problem by developing a way to identify synthetic horn that only law enforcement officials could recognize. Experts say this could be the most challenging component of Pembient’s plan. People watching the issue closely believe that the survival of the rhino species hinges on decisions to be made in the next few years. World leaders will gather in Johannesburg in 2016 to consider whether to lift the global trade ban on rhino horn. A South African court is currently considering domestic legalization, with some proponents also pushing for the introduction of rhino farming. 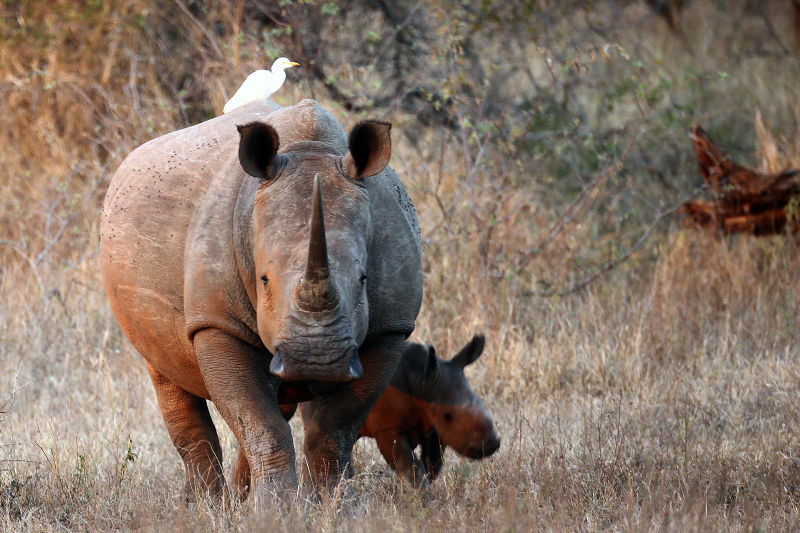 A number of wildlife managers are also experimenting with the use of drones and satellites to monitor and protect wild rhinos, to mixed success. Pembient says its approach is uniquely sustainable and scalable. “We’re turning the whole boat around 180 degrees from what people have been doing for the past 10 years with no results, and saying, ‘Let’s make as much horn as possible,’ ” Marcus said.